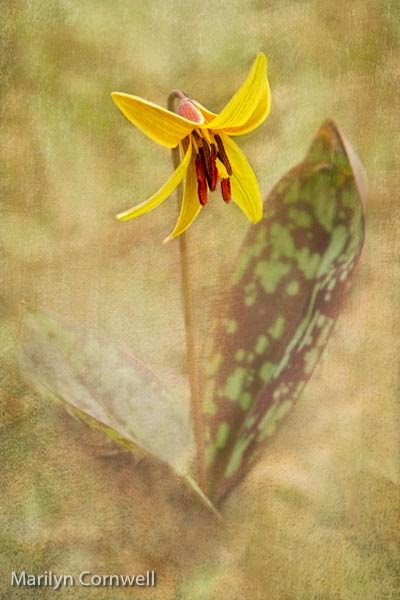 This is one of the early spring bloomers - Trout Lily. It is Erythronium americanum. It's also known as Dogtooth Violet and Yellow Adder's Tongue. It is in the Liliaceae family. I didn't realize that it is an edible plant. At the same time, it seems to be an emetic (makes you throw up), so it is not recommended that one eat a lot of it. I guess I wouldn't add this one to the menu with guests coming.